Gross Dairy Cattle and Farm Equipment Auction in Hillman, Minnesota by Mid American Auction Inc. NOTE: The Gross family has farmed on this farm for three generations beginning in 1927 with Joel’s grandparents Theodore and Mathilda, followed by his father and mother Ben and Virginia, with Joel, Nicole and their family operating the farm the past 20 years. The Gross’s are well known in this area as good friends and neighbors and for their efficient farming operation. 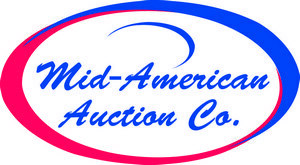 Mid-American Auction Co. is honored to be selected by the Gross family to conduct their dairy cattle and equipment auction. Please note that only listed items will be selling so please plan on prompt attendance as we will be starting with farm machinery, followed by dairy cattle. Prior inspection welcome by appointment beginning Thursday, April 11th. Online bidding on farm equipment through Proxibid powered by Mid-American Auction Co., Inc. In the event of severe weather, please listen to KASM 1150 AM Albany or check our website at: www.midamericanauctioninc.com for weather related updates. If you are in need of good, clean farm machinery or high quality dairy replacements, please mark this date on your calendar and make plans now to attend the Gross equipment and dairy cattle auction. NOTE: This is a well uddered, high producing herd of both registered and high grade Holstein cattle. The foundation of the registered portion of this herd includes selections from the Holmgren and Schoon herds, as well as other top regional programs. The herd was most recently classified in 2018 with several VG cows as well as the Gross’s Matriarch 91 point excellent cow. This herd has been on test for over 40 years with current records indicating a herd average of 2X 23,000 pounds milk, exceptional 4.7% 1080 fat and very good 3.4% 793 protein. Records to 35,000 milk and over 1200 fat. No TMR in use. Somatic cell count averages 160,000. Cows are milked in a tie-stall facility. This herd has been exclusively artificially bred for over 50 years using leading TPI and NM sires; including, but not limited to: Mogul, Shamrock, King Boy, Big Royal, McCutchen, Fuel, Dorman, and others. Along with a very nice set of mature females, we offer a great group of bred and open heifers that are all AI sired and out of leading Gross dams. Cattle are Bangs vaccinated and monthly herd health program provided by Litke Vet Clinic of Pierz. A catalog will be available approximately 2 weeks prior to the auction so please view online or phone (320) 760-2979 to have one mailed. Whether you are looking for pedigree or production, please take a moment to review the catalogs and make plans to be on the seats April 16th. Sale will be held under cover, trucking available. NOTE: Nice line of well maintained farm machinery with several pieces purchased new and major pieces shedded. Located 6 miles north of Pierz, MN on MN State Highway #25, then 7 miles east on County #47, then 1 mile north on County Road 270 (340th Ave.), then continue 1.5 miles east and north on Riverside Road to Farm #35163; or being 2 miles north of Lastrup, MN on County Tar #23, then 5 miles east on County Road #47, then 1 mile north on County 270 (340th Ave.), then continue 1.5 miles east and north on Riverside Road. Follow the Mid-American Auction Co. signs; roads will be plainly marked.